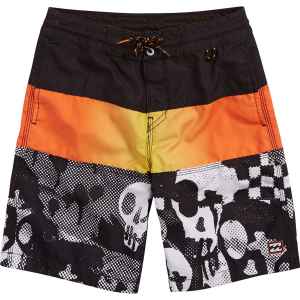 Rad to the bone, the Billabong Toddler Boys’ Bad Billys Tribong Board Short lets your rockstar get the most out of his days at the beach in killer style. The polyester fabric is quick drying to prevent soggy bottoms and features a radical ’80s punk print to catch the eyes of the other kids who’ll undoubtedly have lesser trunks. 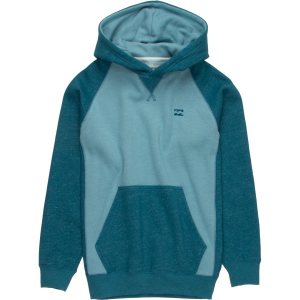 The rear flap pocket stashes snacks before he gets in the water, and the adjustable drawstring provides customizable comfort through rough days in the surf.